Visit Christmas market in Zagreb with Integral. Departures: 16, 23, 27, 28, 29, 30 December at 2 pm. Sale of subsidized tickets for students in the school year 2017/2018. Our company’s fleet includes vehicles of various capacities. 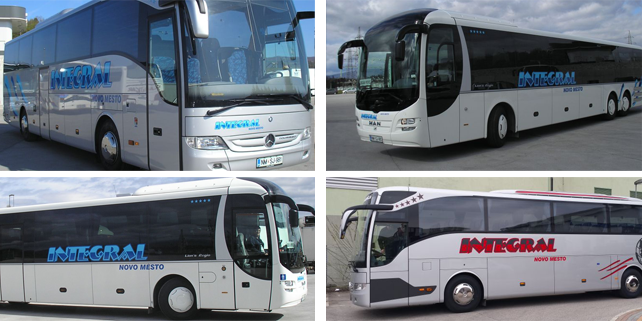 You can choose among 35-, 40-, and 50-seat buses of the highest quality. Our latest acquisitions are 58 and 63-seat bus (NEW!!!). For minor groups multi-purpose vehicles with eight seats and minibuses with 17 or 19 seats are available. All vehicles meet the required regulations and laws; they are managed by drivers with proper education and long-year experience. While on the way, all passengers have accident insurance!